Nokia seems in the near future will launch windows based mobile phone. It is marked by the launch of a phone based application windows 7 they'd just remove it. Zune Link, a specialized portal that provides information about nokia application, give an overview of application-based mobile phone homemade nokia for WP7. But in the information they provide, there is no link to download. 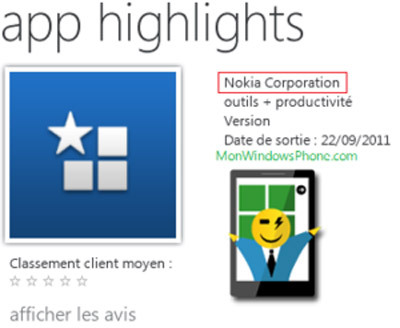 With this application, observers predict that by the end of this year likely Nokia will soon release a phone WP7nya. One phone prototype that information is quite often heard is the Sea Ray. Even so, not much information is already publicly known. The public only knows that this phone will resemble the appearance of the Nokia N9.